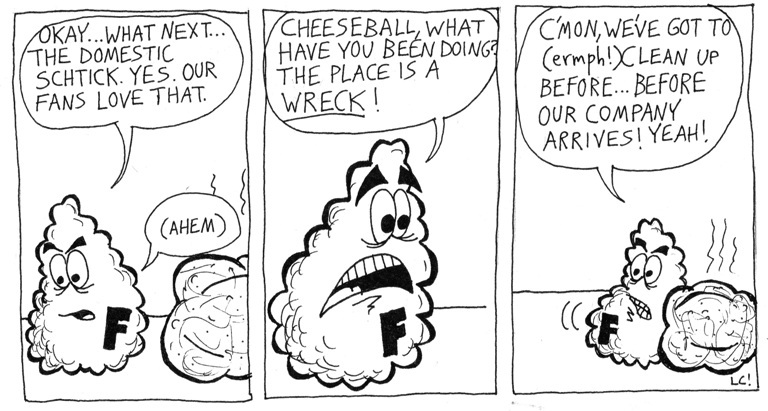 I've always pictured Cheeseball as a big hunk of bleu or roquefort or gorgonzola. am i far off? I didn't have a specific type of cheese in mind. I don't think he's bleu cheese, or else he'd be crumbling everywhere. Maybe gorgonzola. I'm not sure what kind of consistency that has.